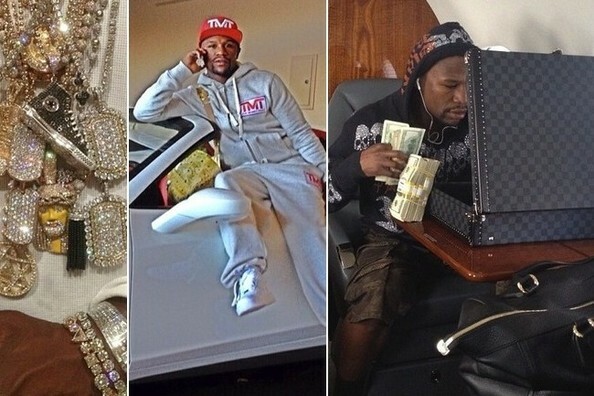 You don't have to be a boxing aficionado to understand Floyd Mayweather is all about extravagance and straight cash. His nickname is money; his brand is The Money Team, and he and 50 Cent once confused stacks of hundreds for cell phones. So it should come as no surprise that a large chunk of his social media presence is devoted to showing off his ridiculous wealth. If you need proof of that, just check out his Instagram.